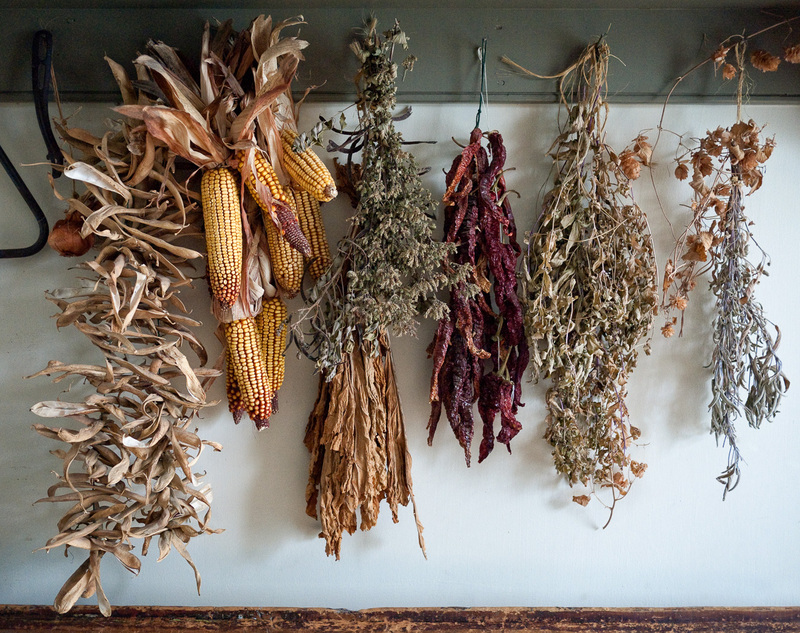 Hanging food to dry and preserve is a practice that is thousands of years old, and it’s still used today. This particular image was taken at Black Creek Pioneer Village in Ontario. I enjoy visiting such places as they remind me of my paternal grandmother, the only grandparent that I knew. Gram, as I called her, was born in rural Ontario in 1884 and lived until 1982. In 1884, rural living conditions weren’t significantly different than they were in 1784, when my paternal family travelled north as United Empire Loyalists to settle in Frontenac County, outside of Kingston. In fact, there wasn’t a great deal of difference to when my wife’s family arrived in New France in the 1600’s. Imagine, then, the extraordinary changes Gram saw and experienced in her lifetime – indoor plumbing and electricity brought to her home, the telephone, the radio, “moving pictures”, the television, the automobile, the airplane, humans walking on the moon, and the introduction of the personal computer. She saw two world wars, the great depression, suffragettes and the rise of feminism, rock and roll, and the “sexual revolution” of the 1960’s. When she was young, Gram was known as a feisty, independent woman who knew how to handle horses. When I knew her (she was already 70 when I was born) that same spirit endured, but there was a mellower, grandmotherly side to her as well. She lived with us for a while in Toronto when I was young, but moved back to independent living when a bedsitting apartment became available in a new senior’s building in Kingston. Whenever I was in town, there would be an invitation to lunch at Gram’s tiny apartment – salmon sandwiches and tea. One of my favourite memories is helping my uncle take Gram back to her apartment after a Christmas dinner in Kingston. There was quite a winter storm that night. My uncle and I each took an arm, and we had to push and stumble our way through waist-high drifts of snow to get to the front door of her building. She (in her late 80’s) laughed and giggled through the whole experience. Things are always changing, sometimes at a dizzying pace. And we have reaped the benefits of many advancements. But I don’t think we should simply turn our back on traditional ways of doing things. Some are just as relevant today as they’ve ever been.